Of course I couldn't travel thousands of miles to the UK without seeking out one of Britain's most iconic food pairings: fish and chips. After crowdsourcing recommendations for the best gluten-free fish and chips eateries via social media, Oliver's Fish & Chips in Belsize Park quickly made my short list of restaurants to visit. Not only do they have an abundance of gluten-free options, but they dedicate each and every Wednesday to going completely gluten-free. 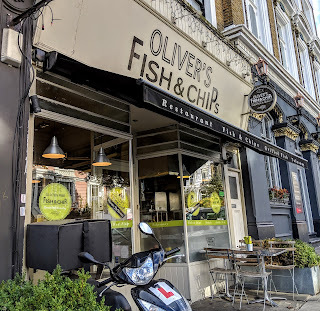 Dedicating an afternoon to the enjoyment of fish and chips and exploring nearby Camden Market area, I eagerly anticipated enjoying one of my favorite pre-gluten-free meals on UK soil. I arrived early in the afternoon, missing the lunchtime rush. Upon entering, diners are asked if they will be dining in the restaurant or will be ordering takeaway (the menus are slightly different for each style). Before arriving, I made sure to review the allergen grid on their website, which helpfully breaks down top allergens found in every menu item. Note that their gluten-free products are always fried in separate oils (whether on Wednesday or any other day of the week) and the staff are trained to be allergen aware (though can't completely eliminate the potential of cross contamination). 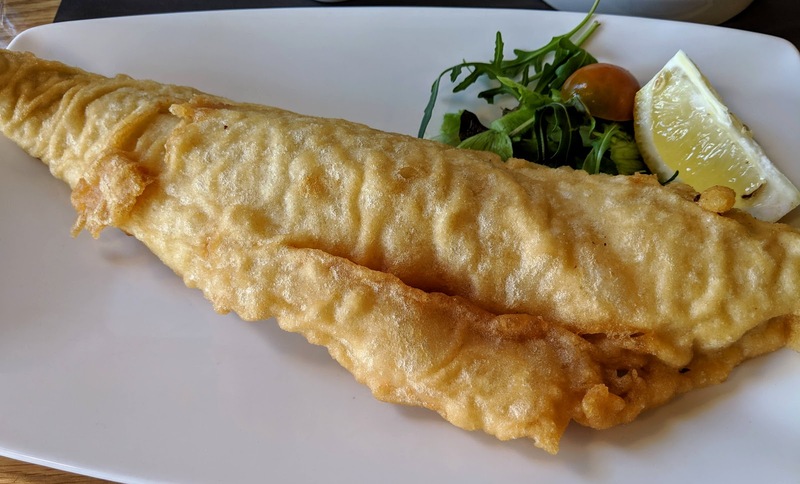 Unlike in most other dining experiences, I did not need to deliberate over the menu for long, and ordered the gluten-free battered haddock with chips. As I waited and watched out Oliver's front windows, it was cool to hear my order being prepared behind the counter. The satisfying sizzle of items going into the fryer (and knowing everything going in that day was gluten-free) put a huge smile on my face. This photo definitely does not do justice to the majesty of the battered fish. It was generously portioned and fried to a lovely golden color. The tender, flaky fish paired perfectly with the crunchy batter and I enjoyed the contrasting textures immensely. It's absolutely surreal to be able dine out and enjoy gluten-free safe fried food that doesn't compromise one bit on taste and texture, as is the downfall of so many gluten-free items at restaurants. I wish I could say I conquered the whole fish, but only ate about 85% before I couldn't bear to eat another bite. The accompanying chips were stout and featured a fluffy interior. They did not have a crisp exterior (which I prefer my fries to have), but nevertheless they were hearty and perfect for dunking in ketchup to complete the full fish and chips experience. 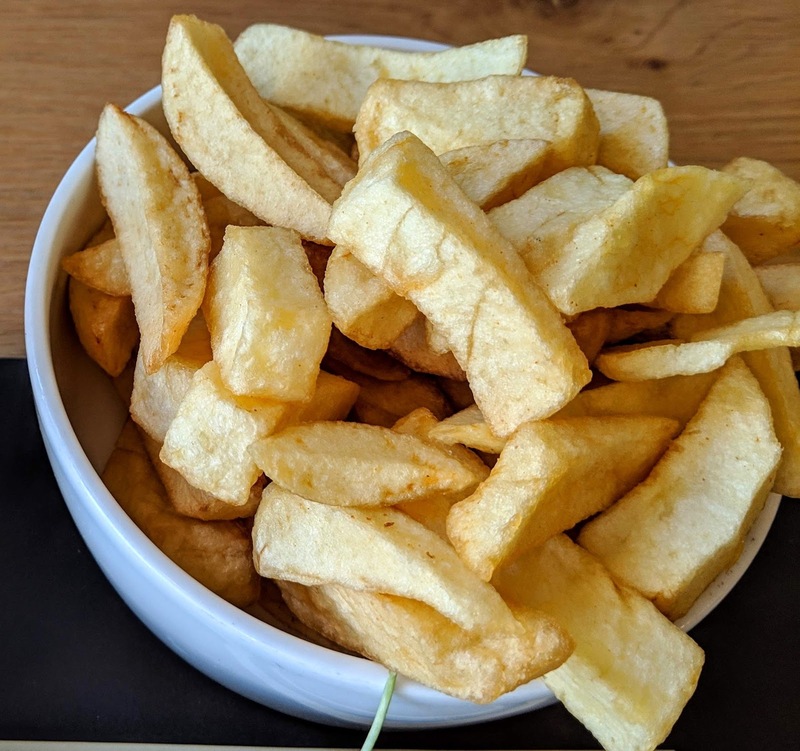 Just as with the fish, the portioning was rather generous, and I loved the simplicity of feasting on these chips and watching the world go by from my table by the front window. I feasted on fish and chips until I couldn't imagine eating another bite. I left Oliver's absolutely stuffed, yet delighted by the simple joy of getting to enjoy this rare opportunity to enjoy this iconic pairing safely. I appreciate that they take care of their gluten-free customers and serve up fare that looks and tastes every bit as normal as the non-gluten-free version seemingly sold on any corner. For customers like me, this normalcy is all the more sweet in a world where I have to question and scrutinize everything I eat. I hope to be back by Belsize Park for another meal of fish and chips sooner rather than later. Until then, memories of this meal will bring me a flash of joy every time I think of it.